JASPER -- The official souvenir collectible mugs and buttons for the 2017, 40th annual Jasper Strassenfest are now available for purchase. These beautiful steins commemorating the 40th annual celebration of the Jasper Strassenfest bear the 2018 theme of “40 Years of Memories, The Best Is Yet To Come” on the mug. Mugs can be purchased at the Jasper Chamber of Commerce office at 302 West 6th Street in Jasper at a cost of $30 each. The 2018 collectible souvenir buttons depicting the “40 Years of Memories, The Best Is Yet To Come” theme are also available at this time. The cost of the buttons is $5.00, purchased before or during the festival. Also available for purchase at the Chamber office are the official Strassenfest German-style flags and buntings. Several different sizes are available at various prices. Strassenfest program booklets will also be available soon at several banks, restaurants and retail locations throughout the city of Jasper. 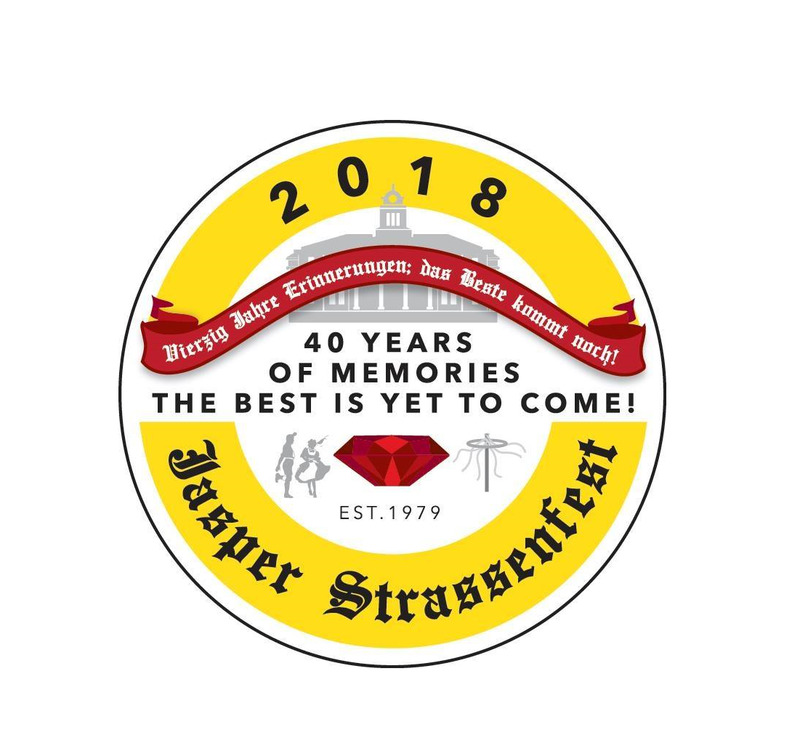 The 2018, 40th annual Jasper Strassenfest will be held August 2nd to 5th in and around downtown Jasper.